Our spine isn’t like a stack of bricks. Rather, your spine, with its three flexible arches, is more like a spring. We see the collapse in things such as a low hip, rotated shoulders or weight imbalance to name a few. This is why our unique care isn’t about simply putting the ‘bricks’ back in place. It’s about releasing the tension on the spring. ➡️Initiate healing processes, from the inside out. We know that postural imbalances that result from tension + gravity = PAIN. Whether it’s back pain, neck pain, arm pain, knee pain, etc., it would be wise to have a Structural Chiropractor step back to assess the structure GLOBALLY. Look at the entire body as it is connected to see the patterns of tension, compression and compensation. You are not just a stack of bricks and it isn’t just a bone out of place. It’s an entire system out of place. In our office, we use the 3D model to release what is responsible for the postural imbalances so you get more than temporary relief! 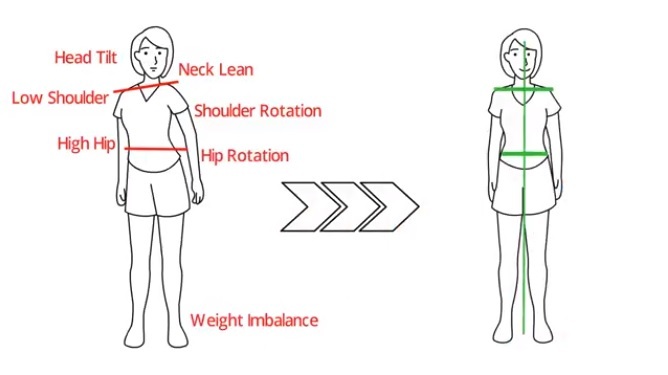 Our office is home to the only Posture IQ in East Tennessee, a state-of-the-art 3D postural measuring device that gives real time objective measurements on the changes we are creating each visit so you can not only FEEL the difference, but SEE it as well.